Yes, we know it is Lent! 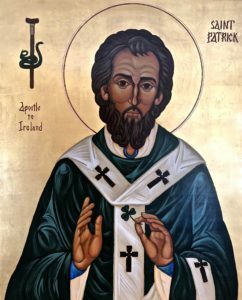 But it is also time to celebrate Patrick, our patron saint! On Sunday, March 18, both services will include a time for those who have agreed to increase their commitment to the operating budget (and those making first-time pledges this year) to offer pledge cards during the liturgy. We will have a reception, with an Irish flair, following the 10:30 to service. Join us on March 18 for a deep drink at this Lenten oasis as we celebrate what God is doing among us here at St. Patrick’s.